The traditional family bathroom benefiting from modern engineering. Loved by our designers this room has won the hearts of both staff and clients and is even in the home of our Directors. 1x This is the only free standing roll top bath that is corner positioned this can transform any family bathroom. The glass screen is fixed via chrome wall post with two hinges, exposed. 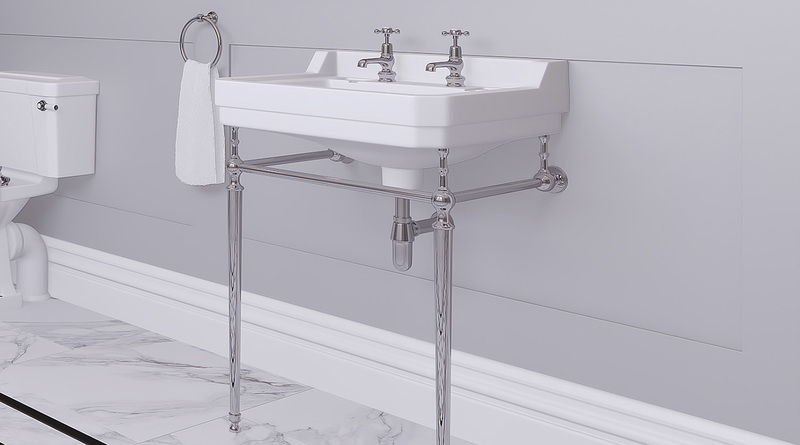 1x 600mm ceramic basin mounted on a chrome wash stand with complimentry basin bottle trap and fixings. The exposed look of this room supports the traditional look. 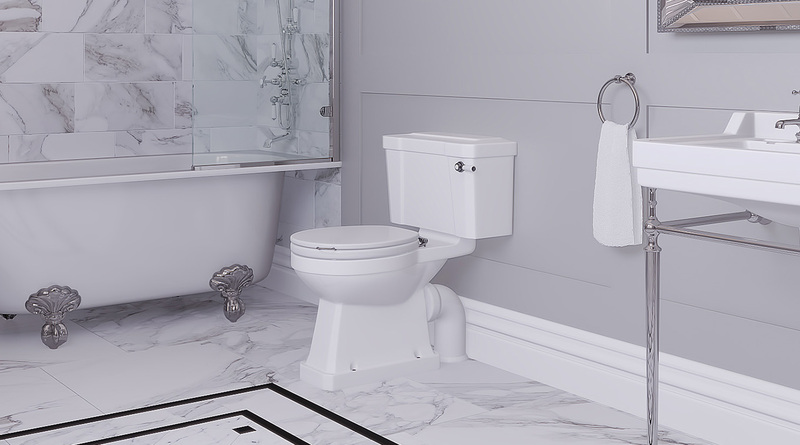 1x Closed coupled toilet with wooden white soft close seat and lid which is an exact match to the furniture. 1x Floor standing heated towel rail with white radiator and chrome rails. This unit has high output. 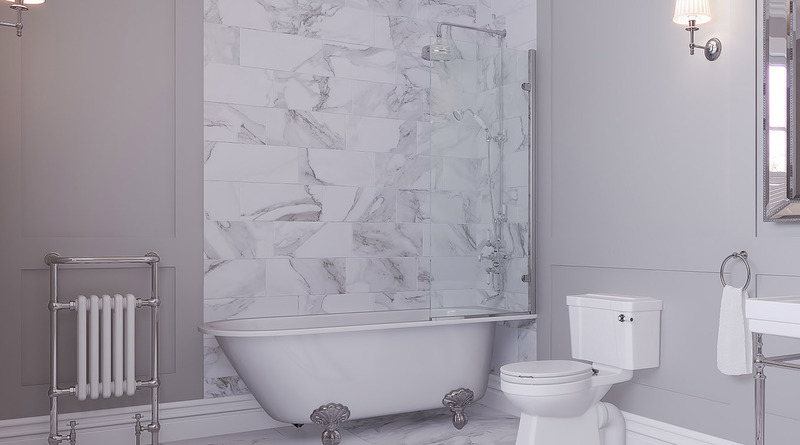 Roll top shower bath, triple shower valve, exposed riser rail kit with overhead and hand showers, and bathscreen. Basin and stand, basin taps, plug and chain waste and chrome bottle trap. Close coupled pan and cistern with lever dual flush and soft close wooden seat. 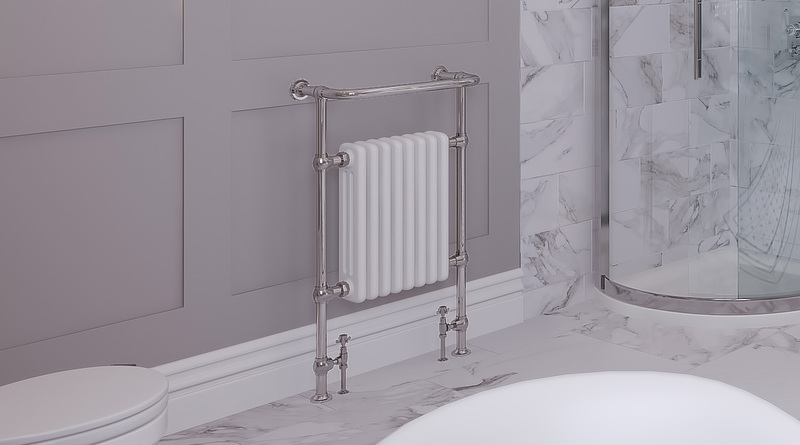 673mm x 963mm traditional towel rail and rad valves.